5 August, 2014: DermaQuest – the international cosmeceutical brand at the cutting-edge of performance skincare – has experienced a sharp international upswing in demand for its Perfecting Primer in recent months. The silky serum is becoming increasingly popular as ‘porexia’ gains momentum around the globe. Today, one of the biggest complaints received by aestheticians is that clients want to minimise the appearance of their facial pores. Such is the scale of the concern that the situation has been given the moniker ‘porexia’. A recent survey among 2,000 women in the US found that almost 50 percent of those polled are more concerned with pore size than wrinkles*. However, it is an obsession that affects nearly as many men as women. Pore size is determined by genetics and, as the skin’s production of collagen slows, the structure surrounding pores loosens and pores appear larger. In response to the concern, skin primers are increasingly highly sought-after for their ability to minimise the appearance of pores. 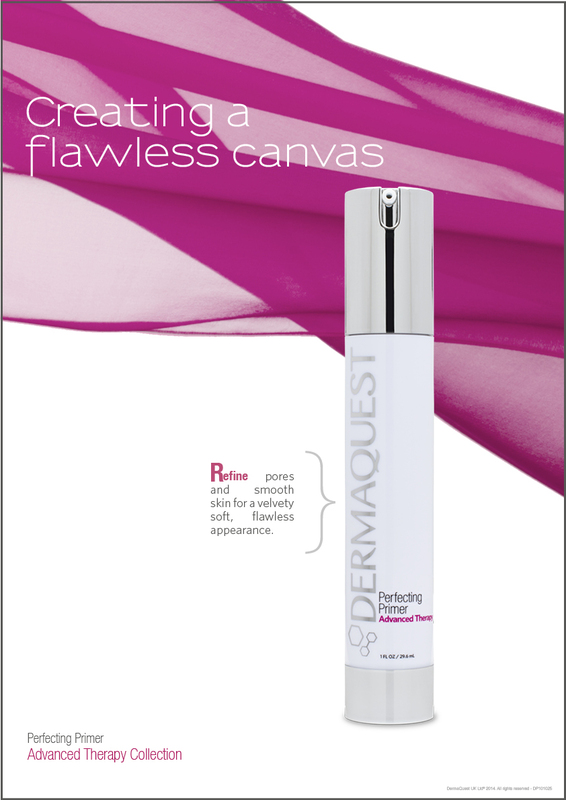 As a result, international sales of DermaQuest’s Perfecting Primer have doubled in the last three months. The Perfecting Primer instantly refines pores and smoothes fine lines. The oil-absorbing blend leaves skin with a soft, velvety, matte finish, and is perfect for sensitive or acne-prone skin. By providing an evenly textured base, the primer adds longevity to makeup and extends the life of a polished, flawless complexion. The formulation comprises the performance ingredients Hyaluronic Acid Filling Spheres™, Thiotaine and BV-OSC. Providing long-lasting hydration, thanks to their micro-reservoir effect, the filling spheres rapidly swell up in the skin and have a plumping effect. Thiotaine is a synthetic version of a natural antioxidant that protects the skin from free radical damage. Meanwhile, BV-OSC, is the most stable and potent form of Vitamin C on the market. It is a rich antioxidant with skin brightening properties and the ability to promote collagen production. Just one pump of the velvety primer will provide enough coverage for the whole face. The Perfecting Primer is part of the Advanced Therapy Collection and retails for £37.00 with authorised DermaQuest stockists. If your skin is in need of an extra boost, our products in the growing Advanced Therapy Collection were crafted to be special additions to your personal home care regimen. The Collection also comprises the Algae Polishing Scrub and Mini Pumpkin Mask. Welcome to the world of unparalleled skincare. Since 1999, we have crafted the finest skincare products available for aesthetician, physician and home care use. Our mission is to continue to embrace our role as the leader in botanical stem cell technology and as a top international skincare brand. We are committed to using the most advanced technologies and ingredients possible. Our results-driven formulas, experience and knowledge instil confidence in our customers. Our exclusive line takes the science of skincare to the next level of excellence. We strive to be nothing less than visionary. 18 London Road, Alderley Edge, Cheshire SK9 7JS.